A man in a white lab coat pushes a steel cart down a white painted corridor, his feet making no sound on the dark grey industrial carpeting. The cart has two large trays. One of them holds covered steel containers that steam gently. The other tray is open, filled an assortment of medications, syringes and bottles of all sizes. Doors, painted white, stand closed at regular intervals. The man passes them all, going down to the end of the corridor, which ends in another door, also white and also closed. On the door a small metal frame holds a cardboard tag that reads Holmes, David. The man pauses at the door and fumbles in the pocket of his coat, fitting a large key into the lock. David Holmes squeezes the white pebbled stone parapet hard, his grip so tight that the muscles under his skin ripple with the tension. He has powerful athletic arms; the muscles defined and curved under sunburned skin. He looks out over the low balustrade towards white flecked breakers flopping over lazily on the shore below. A vagrant breeze lifts a lock of his hair and whips it across his face. Absently he raises one hand and pushes the errant strand back into place, keeping his eyes fixed on the surf below. A single wisp of cloud hovers overhead in an otherwise azure sky and he smiles as his eye catches the glitter of the noonday sun on the rising crest of a breaker. It’s a perfect day on Hidden Cove Bay. Perfect for sailing. He relishes the prospect, imagining the feel of the wind whipping his hair into a tangle and hear the crack of the canvas sails as they gather the breeze. Sailing is David’s passion, the only time he really feels alive. He loves the motion of the waves rocking the planks beneath his feet, the salty taste of spray on his lips, yelling nonsensical pirate phrases into the wind knowing no one can hear him. Sometimes he drops anchor in the middle of the bay, strips of his clothes and lies naked on the deck, luxuriating in the warmth of the sun on his skin, feeling the sweat pop out on his brow, the red haze hot against his eyelids as his upturned face catches the sun’s oblique rays. Maybe today he’ll go swimming instead. The water looks inviting; deep turquoise blue, sprinkled with shimmering translucent wavelets that break up and catch the sunlight in endless tiny fragments. The motion of the waves is hypnotic, lulling him into a trance. His mind reels in a well worn memory. Once, floating on his back a hundred yards from his boat, a flying sailfish, Parexocoetus brachypterus, flew right over him, fins spread, leaping over him like an inconsequential hurdle, the diamond like shards of its watery wake creating a rainbow of refracted colors through his half closed eyelids. He turned over then, rolling on the surface, trying to follow the path of the fish as it re-entered the water, but it was too fast for him. All he saw were the shadows of the wave ripples on the sea floor. It was August, the water so clear he could to see all the way to the bottom, almost forty five feet below; everything enhanced and clarified by the light, making the water so transparent he felt as if he was lying on a pane of glass. Right now, his mouth feels dry. His body is sticky, remembering the liquid coolness; the sensuous embrace, like a lover, like being in a warm fluid cocoon, welcoming him in, arousing his lust, stroking him with the feathery touch of vagrant breezes on his skin. The water calls him with an indefinable urge, a visceral yearning his body responds to on a molecular level. Today he must stay longer. He is tired of this place, trapped in this building even though it affords him a daily view of the sea he loves. The sound of a key grating in the lock intrudes upon the stillness of the room, and a stark white door swings inwards to rest against an equally stark white wall. The room’s decor is Spartan, almost minimalist. Everything is white, from the linens to the furniture, unrelieved by even a picture on the wall. The man in the white lab coat enters, wheeling a steel cart loaded with two trays. One of them holds covered steel containers that steam gently. The other tray is open, filled an assortment of medications, syringes and bottles of all sizes. Sunlight streams in through open French doors, the intensity of the light washing out any color in the room. The French doors open out onto a broad uncovered balcony where a hunched form is visible, leaning forward in a wheelchair, hands gripping the balustrade. A blanket covers the occupant’s thighs but beneath the edge of the fabric a pair of withered uncovered legs are visible. A flicker of sympathy crosses the lab coated man’s face as he notices the faraway expression on the patient’s face. David Holmes was a champion sailor once, but he will never walk again. 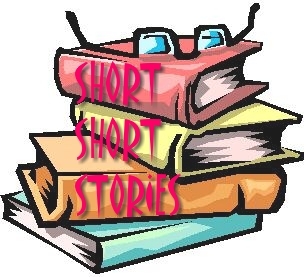 This entry was posted in Short Shorts, Writing and tagged short short story, short story by bryanknower. Bookmark the permalink.